The international model Linda Evangelista once famously said that she doesn’t get out of bed to work for less than $10 000 which is pretty impressive. At the other end of the scale, I have a new photography assistant who is very low maintenance and is happy to do a spot of modelling for a pat and a piece of roast beef. 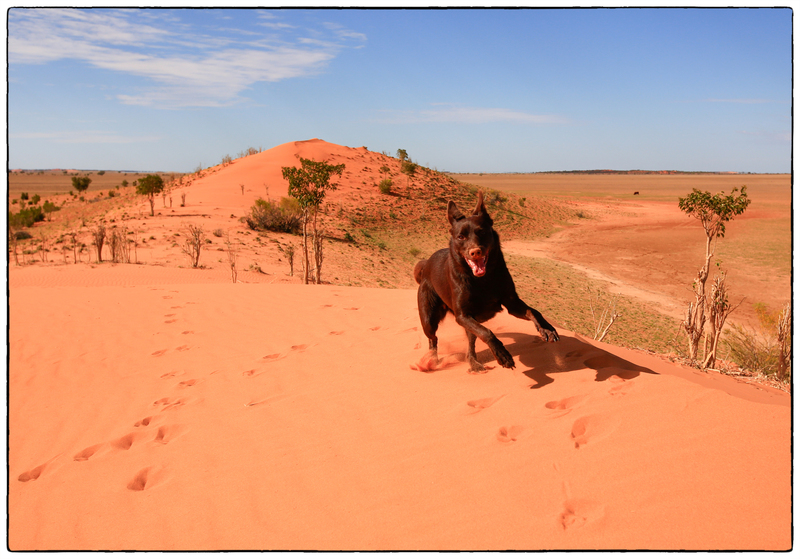 I am excited to launch my new personal project which brings together two of my favourite things, my little kelpie puppy Ruby, and my love of photographing landscapes. We will be travelling to many new places, and hopefully over time, creating some amazing images together. 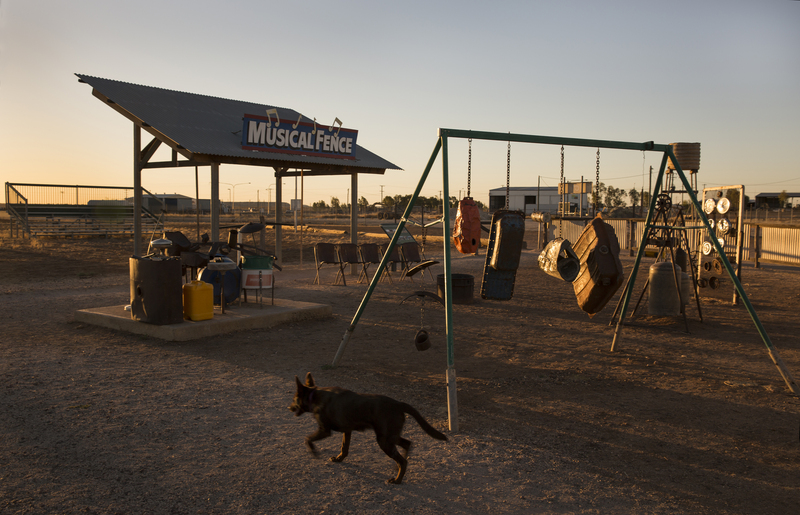 Our first image comes to you from Charlotte Plains Station, which is located 50km from Cunnamulla in South West Queensland. 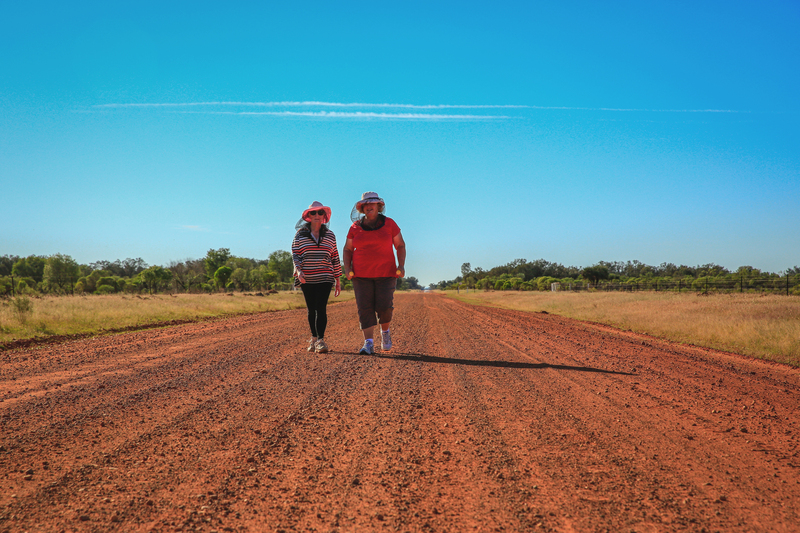 Charlotte Plains Station is an authentic working sheep and cattle station (half the size of Singapore) and provides an opportunity to experience the real outback and more. There are lots of interesting things to explore on the station but my favourite was having a dip in the relaxing hot bore water which is enriched by minerals. 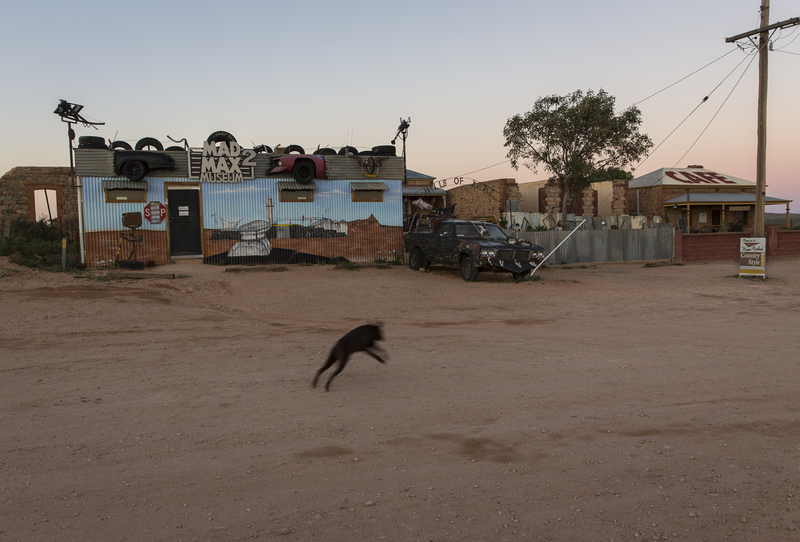 We camped right next to the artesian bore and it was hot, dry, dusty and fabulously quiet. We saw emus, kangaroos (by the hundreds), goats, camels, galahs, pelicans, herons and of course plenty of sheep and cattle. I was very thankful for Ruby’s impressive barking effort which thwarted off the interest of a wild pig circling our tent on the last night of our stay as my Bear Gryll’s effort of shining a torch from the inside of the tent had no effect. I could understand the pig’s curiousity as our tent is pretty flash. We travel in style in an Oztent which I can put up on my own in less than 30 seconds. 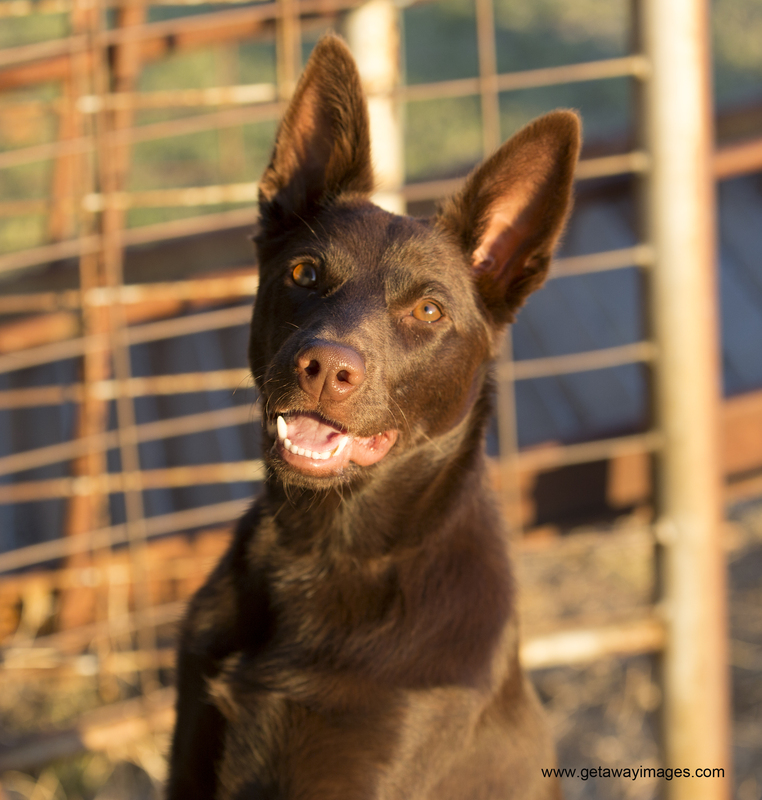 Ruby is a six month old Callicoma kelpie bred by Mandy Sansom in Grafton. 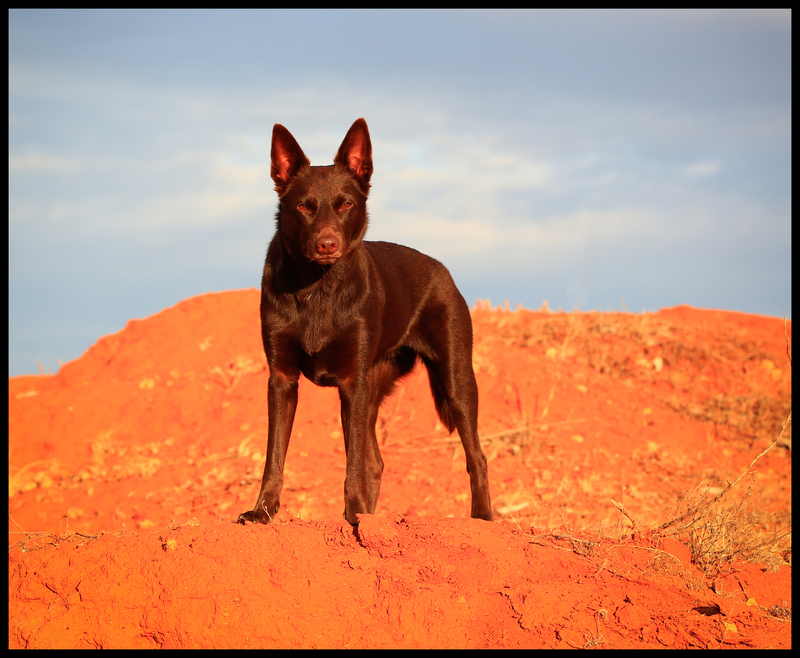 Ruby is chocolate in colour and whilst officially a New South Wales gal by origin, she now resides in Brisbane and is a proudly adopted Queenslander. Being a working dog, she loves to run, cant get enough of fetching a ball, and is a pretty chilled city girl, having perfected the art of being a lounge lizard during the day whilst her mum is at work. Ruby has graduated from Puppy Pre-School and Basic Obedience. Woof woof…..see you on the next job!